The head and mouth are strange to me, could you ID it? in that sample I have found only daphnia magna, this one looks almos the same, only its head is different. 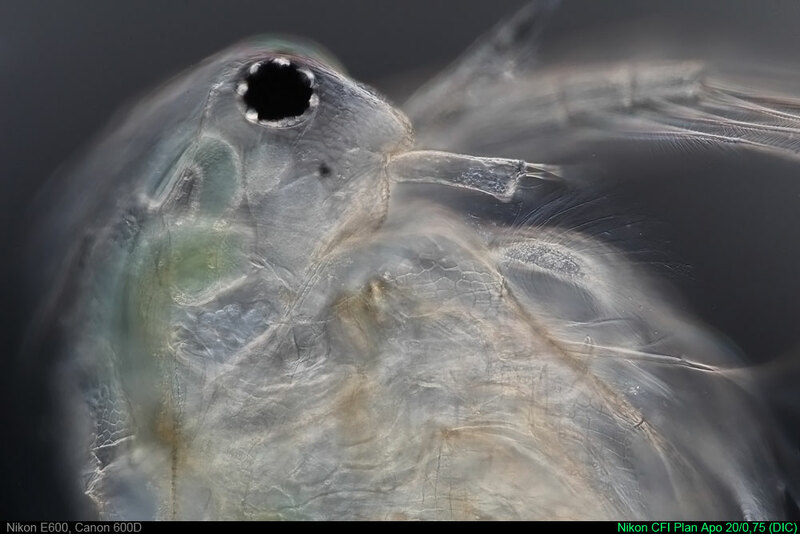 This is a male of Daphnia magna. When there are females and males in a sample there are often females with an ephippium as well. An ephippium is a kind of pouch for resting eggs (fertilized eggs). 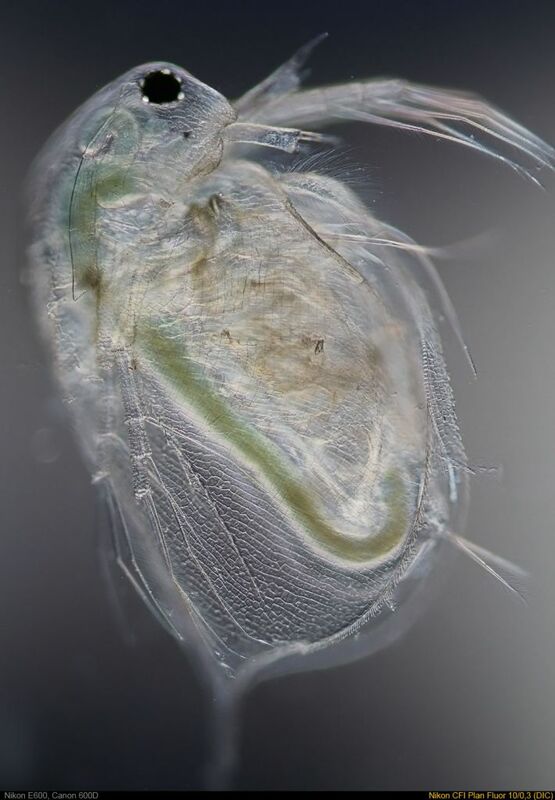 The ephippium of Daphnia magna contents two resting eggs with oblong form. The ephppium with the resting eggs, containing dormant embryos, makes it possible to survive for a period of years. May be you find a female with an ephippium (two, oblong, dark eggs).